From an interior design point of view, the kitchen can make or break the home. Everywhere else could be beautifully decorated, but a shabby looking kitchen will always bring down the look- whether you’re selling your home or just showing it to guests. With it being such a well used room it needs to be functional as well as beautiful. The problem is a brand new kitchen is an expensive renovation and isn’t something that’s in the cards for everyone. But thankfully, there are things you can do to have a rejuvenated kitchen and bring it up to scratch without spending a fortune. Here’s how you can go about it! Before tackling the decor, it makes sense to get your kitchen in order. Over time, things can accumulate and before you know it your cabinets and drawers are bursting with junk. Without realizing, you’re struggling finding space for the things you do use and need. Donate any small appliances that work but you don’t use to friends and family or give them to a charity shop. Have a clear out of pans and trays that are no longer any good. Throw away tea towels and other textiles which are worn and past their best. Reclaim the space in your kitchen, and streamline what you own so that its all things you actually want and need. Refreshing your kitchen doesn’t have to mean going out and buying everything new. Instead, repairing and renovating what you have already is a great way to save on costs. If your refrigerator isn’t performing as well as it once did, a company like subzerorepairfl.com could save you hundreds on buying new. If your cabinet doors look outdated and worse for wear, how about upcycling them? Sand them down, paint with primer and then a coat of paint designed for kitchen cabinets. Once they look new, add some new hardware. You’ll get the look of a new kitchen at an absolute fraction of the cost. Instead of buying a whole new sink, just purchase a new modern faucet. These kinds of changes make all the difference and will definitely bring your kitchen up a notch. 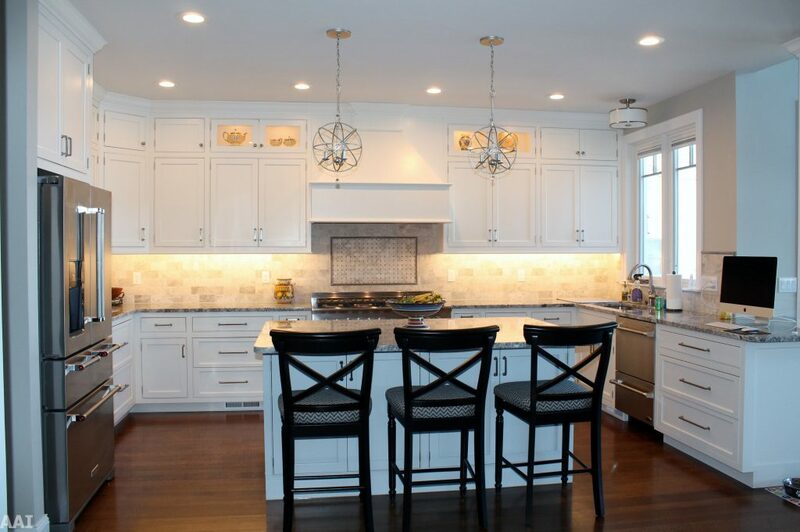 One way to instantly make the kitchen look more spacious and pleasant is to let in more light. With a bigger budget you could add a skylight, have your window made bigger or have glass sliding doors fitted. But if you’re on a tight budget, it could be something as simple as changing up your window treatments. The wrong blind or curtains could be blocking out much of the natural light coming into the room. Giving your window a good clean can help too. Another way you can make the kitchen look brighter is to change the wall colour. Opting for white or a very light neutral can help to bounce the light around.This will really open up the space. Since kitchen walls are prone to things like spills, splashes, steam and smoke, going over them once or twice a year with a roller and paint will instantly refresh everywhere anyway.